Hello everyone, nillyJay here! I’m a coach/contributor inside the DFS Army and my main focuses are NASCAR, MLB, bankroll management/cash ladders, and building various tools/models with Excel. You can find and follow me here on Twitter or, for DFS Army members, in our Slack chat (@nillyJay or just swing by my channel #nillys-garage-nas-mlb). Some of you may already be familiar with my carnage rating system (if not, go check it out! ), but might not know about my tiers & classic batter sheets. If you didn’t, or you’re wanting to learn more about it, you’ve come to the right place. It’s early in the season and we’ve already got some big winners in the DFS Army. Congrats Alex! The purpose of the tiers & classic batters sheets is to give valuable information about batter vs pitcher matchups at a quick glance. The tiers sheet is focused on the DraftKings Tiers slates, while the classic batters sheet can be used anywhere. Each batter is shown in their respective hand vs hand matchup, which means it’s showing how the batter is performing against the hand of pitcher he is facing and how the pitcher is performing against the hand of the batter in question. Click me to see the full size! The section on the left shows the batter’s names, their hand (Left, Right, or Switch) vs the hand of the starting pitcher (Left or Right) they’re facing, and the team they play for. The middle section shows some key stats about the batter in the matchup they’re facing. This includes their xwOBA, wOBA, ISO, strikeout rate, and the pitcher’s strikeout rate. The section on the right shows those same stats for the pitcher, but also has their carnage rating, SIERA, and implied run total. As usual, we want safety and upside in our cash games. We want batters that are producing good chunks of fantasy points, and that are producing them often. With that in mind, we want to find as much purple, blue, and green as we possibly can on both sides of the sheet, and the lowest strikeout rates as possible. We can quickly narrow things down to a few batters, then dig a little deeper if we feel the need to (BvP history, ownership projections, etc). Generally speaking, we want to avoid dark red and red as much as possible (especially for strikeout rates). Yellow can be acceptable if the other numbers look really good, but I would prefer to find something better. Basically, we want to minimize our risk as much as possible, especially in such a volatile sport like baseball. There’s a time and a place to embrace that risk, so let’s talk a little bit about that now. We can throw all that risk to the wayside here and focus on trying to find big scores. Higher strikeout rates aren’t as much of a problem here, and batters with a high xwOBA (but low wOBA) make good targets as well. If we can determine who the chalkier plays are going to be, we can usually find somebody in a comparatively good spot to pivot to. I won’t go into a ton of detail here, but if you’d like to discuss GPP strategy some more, come hit me up in Slack! Batter A – He has a pretty strong matchup, though his lower wOBA and higher strikeout rate may keep me from wanting him in cash games. However, his xwOBA is pretty high, and the pitcher looks very soft, so I would definitely have exposure to him in GPP. Batter B – Everything here looks great across the board, so we can probably go here for both cash games and GPP. Batter C – This matchup looks very average, so we may want to dig a little deeper to see if we want to attack this matchup. Batter D – Our only switch hitter could make a decent cash game choice since they would always have the platoon advantage (and they’re hitting well), but their ceiling in GPP may be a little low due to the low carnage rating and SIERA of the opposing pitcher. Batter E – Another solid matchup, this would also probably make a strong cash game and GPP choice. If we think batter B is going to be the chalk, we may want to go heavier on batter E as a GPP pivot. Batter F – Notice that even though he’s facing the same pitcher as batter E, the numbers are different; this is due to him having a different batting hand. We can see that even though batter F has the better hand against the pitcher, batter E has much better numbers in this matchup, so that gives us another good reason to pivot to batter E in GPP. Batter G – There are a bunch of N/A boxes here, which generally means this is either a newer player or somebody who is fresh off of an injury. Batter H – Pretty bad numbers across the board and the pitcher’s stats are very good (or in this case, very bad for choosing batters). This indicates a batter who is performing poorly and striking out a lot that has to go up against an elite-level pitcher. We could probably opt to avoid them here. Everything is mostly the same here, but there’s more information on the left. You’ll see each batter’s salary on both sites, as well as their fielding position. If those boxes are both green it means they share the same position on both sites. If they’re red, it means they are different (see batter C, for example). Lots more on the inside! I have both of these sheets, as well as my carnage report rating, available for DFS Army members every single day. 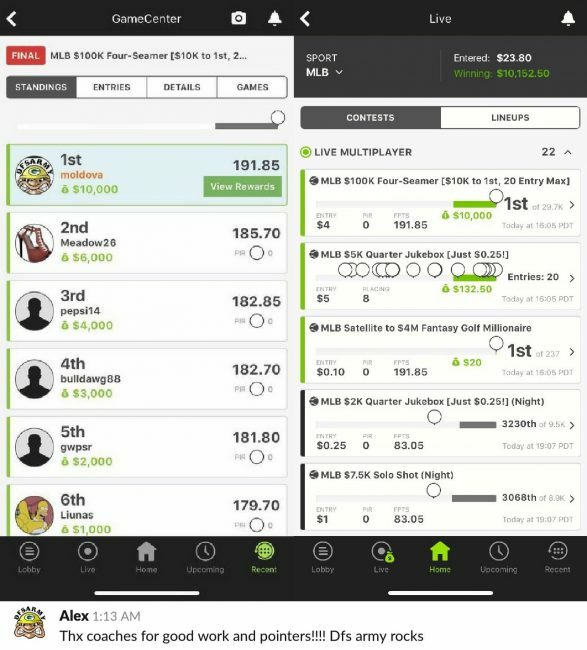 They make it quick and easy to get lineups started, which is great for a lot of people, as not all of us have hours to spend researching this stuff every day. 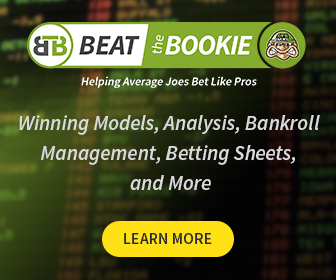 We also have a dedicated sheet for our coaches to highlight their picks, stacks, and various notes, which is also published for our VIP members every single day. We not only do this for MLB but every other sport as well (NFL, NBA, NASCAR, PGA, you name it). For those of you not in the DFS Army yet, I’d encourage you to give us a look and consider joining up. We discuss stuff like this every day in Slack and we do it for every sport. We don’t hide additional content behind any other paywalls; one low price gives you access to everything we offer. You can even use promo code NILLY to get 20% off the life of your active membership. Until then, best of luck!